We are the topmost company that deals in the manufacture, supply and export of Shrink Packing Machines such as Thermal 2 In 1 Shrink Packing Machine, Shrink Packing Tunnel, L-Sealer With Shrink Tunnel, Automatic Shrinking Rota Tunnel, Auto Shrink Packager Web Sealer and Manual Shrink Packager. These have top class quality and stunning view. 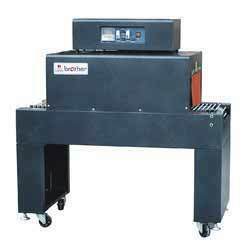 L Sealer with Shrink Tunnel which is a fully automatic, conveyor L-Sealer and high-speed packing machine. The product is placed on the in feed conveyor from where it moves on to the sealing area. 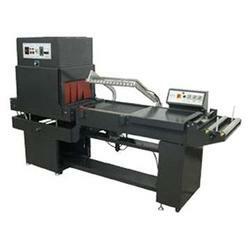 A special hot knife sealing system has been used for perfect quality seal and cutting. Film perforates are provided so that machine can be used for non-perforated films also. Suitable for Packing confectioneries, cosmetics, books, stationery items, household goods, toys, gifts, promotional offers, cartons and multiple wrapping application. Manual Shrink Packager are available of size 15” X 20” where the product is put into the PVC / POF / PP shrink film. 2 in 1 Shrink Packing Machine for shrink wrapping bottles, jars, cans, etc. in tray or without tray. Up and down magnetic switch prevent sealing mistakes, and protect the operators. Large power conveyer motor, with stepless speed regulating, ensures smooth feeding. Up and down large power fan system ensures the excellent effect of shrinking in one time. Film width Max. 500mm Conveyer loading 25Kkg MAX. Shrink Packing Tunnel that we provide is of size 10” X 18” where the product is put into the PVC / POF / PP shrink sleeve & passed through the tunnel, the conveyor moves the product through the heat chamber with fan for uniform heating, and the finished, sealed product comes out from the other side giving skintight transparent packing that is tamper proof & has to be torn to use product. This sealer is suitable for shrinking gifts, mineral water, bottles, cosmetics, etc. Automatic Shrinking Rota Tunnel is a high speed sealer with independent rotating fixtures of different sizes for different bottle sizes. Due to the rotation inside the chamber, the shrinking is very uniform & smooth. 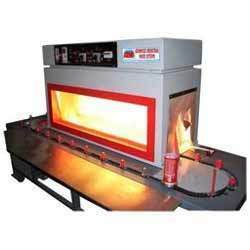 The product is put into the PVC sleeve & passed through the heat chamber and the finished, sealed product comes out from the other side. 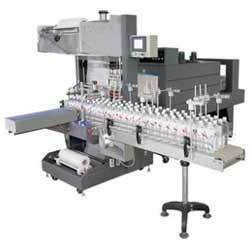 These machines find applications for FMCG goods, Jars, Bottles of food, Cosmetics, etc. 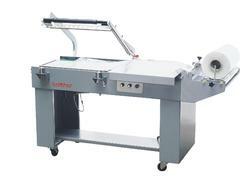 Auto Shrink Packager Web Sealer for automatic collating in groups of 12, 24, 36, etc. & shrink wrapping bottles, jars, cans, etc. in tray or without tray. The Machine adopts the advanced touch screen system for man-machine interface, Schneider programmable logic controller (PLC), Up and down magnetic switch prevent sealing mistakes, and protect the operators. Large power conveyer motor, with stepless speed regulating, ensures smooth feeding. Up and down large power fan system ensures the excellent effect of shrinking in one time. Thickness of the film 590mm/0.03 - 0.25mm Conveyer loading 25 Kgs Max. Manual Shrink Packager are available with us of size 18” where the product is put into the PVC / POF / PP shrink film which is then cut & sealed by this machine to proper size, after which the product is moved onto the conveyor of Shrink Tunnel through the heat chamber and the finished, sealed product comes out from the other side giving skintight transparent packing that is tamper proof & has to be torn to use the product. 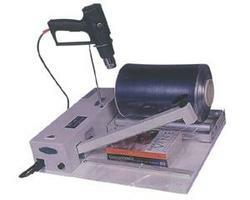 This sealer is suitable for cutting & sealing of all variety of films for gifts, mineral water, bottles, cosmetics, etc. 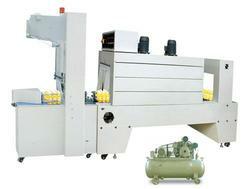 Looking for Shrink Packing Machines ?